We at DataCentric do not want you to miss even one detail of the First Big Data Forum at Madrid which will take place on the 15th of June at 9 a.m. in the Plaza de Callao, where experts in big data will speak about the latest trends and the best practices to be followed in this field, with talks and an interesting round table. Sergio González, Director of Ecosystems at Carat Spain. José Ramón Mencías, Business Development Director at Weborama. Esther Pérez Jiménez, Managing Director of Ninah (ZenithOptimedia). Juan Sevillano, Country Manager Spain at Rocket Fuel. Jon Artolozaga, Director of Marketing Intelligence at GroupM. David Segura, Digital Media Director at Hello Media Group. Tacho Orero, Head of Digital of Maxus. Alberto Alonso, Head of Data & Technology at Havas Media. Jesús Olivar, Director of Analytics & Insights at MEC. Entry is free but we have the best places reserved (10 front rows), for the first 20 of you who follow us on Twitter (@DataCentricPDM) and who send email to forobigdata@datacentric.es giving your name, surnames, the Twitter account from which you followed us, and the name of the company you work for, so we can book your place. 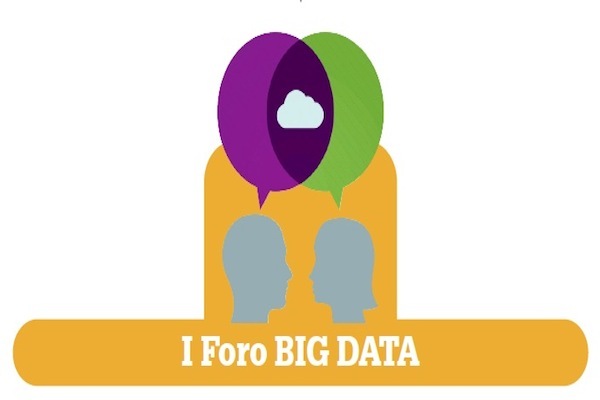 Act fast and don’t miss this chance to keep up to date with the latest trends in big data. Hope to see you there!